Dr. Feng Hu obtained his PhD degree majoring in Computer Science at The Graduate Center, City University of New York. He is supervised by the Herbert G. Kayser Professor Zhigang Zhu. 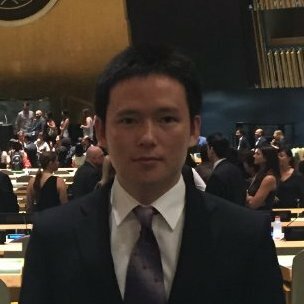 His research interests include computer vision and machine learning, argumented/mixed reality, self-driving vehicles, image/video/pointcloud processing, 2D/3D based indoor localization, assistive technology, and video surveillance. He obtained his Bachelor degree majoring in Automation (Automatic Control) from Xi'an Jiaotong University (one of the oldest universities in China's Ivy League: C9 League ) in 2009. He obtains his Master degree majoring in Pattern Recognition and Intelligent Systems from University of Chinese Academy of Sciences (Host institute: Institute of Automation, Chinese Academy of Science) in 2012. Since 2012, he is a research assistant in Prof. Zhigang Zhu's Visual Computing Lab in the City College of New York of City University of New York. His PhD research focuses on vision-based indoor localization for the visually impaired using 2D images (iPhone + GoPano lens; Google Glass) and 3D depth information (Google Project Tango tablet) under the support of National Science Foundation (NSF) "Emerging Frontiers in Research and Innovation" program. He is an IEEE member and reviewer of CVIU, ACVR, ICTAI, ACM MM, WACV, JVCI, etc. The core courses I have taken can be found here. Our paper based on IBM and VW Connected Vehicle project work "A Crowdsource-Based Sensing System for Monitoring Fine-grained Air Quality in Urban Environments" is accepted by IEEE Internet of Things Journal! Our Smart311 Team (with Michael Iannelli and Arun Adiththan) is the Second Place Winner in the CUNY-IBM Watson Case Competition (with $3000 Cash Award! ), among original around 50 teams after 3 rounds of competition! (50 teams -> 28 teams -> 11 finalists -> 2nd place). Special thanks to our excellent mentor Prof. Don Waisanen! (See our 1 minute video and certificate of recognition). Our new book chapter "Computer Vision for Sight: Computer Vision Techniques to Assist Visually Impaired People to Navigate in an Indoor Environment" in Computer Vision for Assistive Healthcare (the Computer Vision and Pattern Recognition Series, Elsevier) is published! Successfully defended! A copy of the dissertation can be found here. 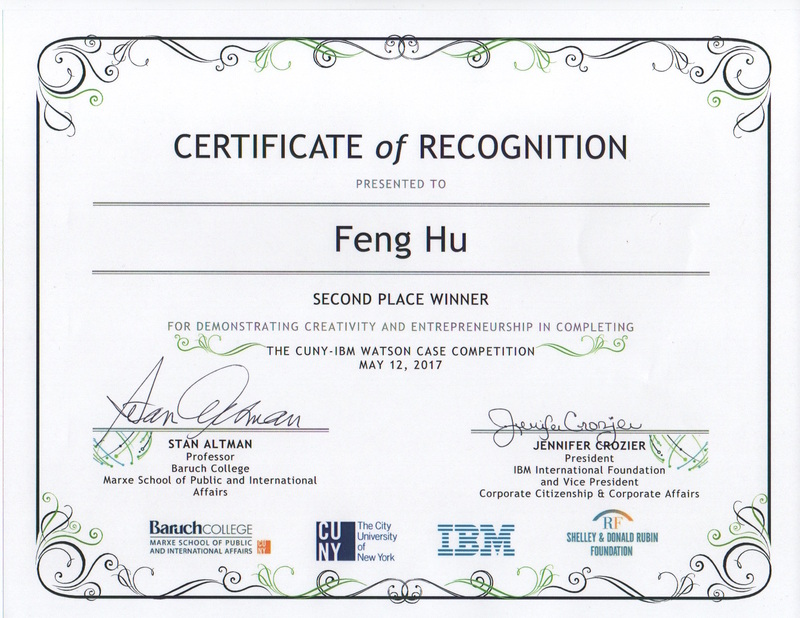 My internship research work at IBM Reseach Lab get awarded!